Lockport’s Great Midwestern Ballyhoo, their Summer Art Series, wraps up their third annual Steampunk Weekend on September 24th and 25th, 2016. There will be a music fest, high tea, popup shopping and a scavenger hunt. The throne and the British throne have been linked for centuries. From John Harington’s associations with Queen Elizabeth and flush toilets to Thomas Crapper’s lavatory attendance to Edward VII, muckety-mucks mingled with muck. 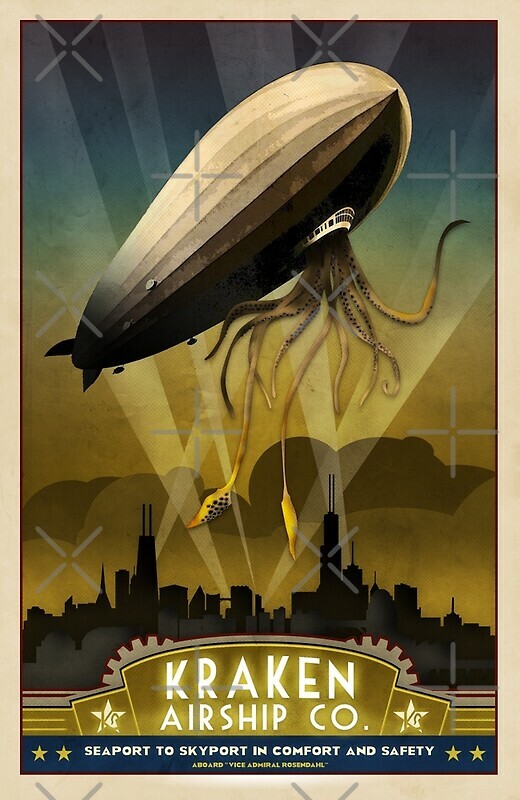 The Tall Ships are coming, and so are the Steampunks! The Hands of Orlac: Live Score! V Is For Villains are issuing a two-pronged assault. The new Murder in the Art will be coming out as an album and as a book. Mr. Agitator (aka Nick Santiago) answered a few questions for us.